Google Plus+ might not be the most heavily used social network out there, but it’s growing quickly. Moreover, there are a lot of benefits to using the network, not the least of which is the ability to connect with consumers and customers that don’t use Facebook or Twitter. G+ (or Google Plus, if you prefer) offers quite a few things not found on other networks, but the key to enjoying the myriad advantages is understanding how to make the most of your updates. The key to understanding Google Plus+ is to understand circles. 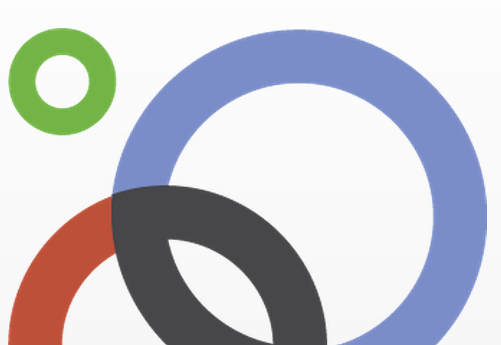 Circles are Google’s version of Facebook friend groups, but they work a bit better. This is helped by the fact that Google Plus+ is easier to use than Facebook, allowing you to drag and drop people from one circle to another, create circles on the fly and more. What is a circle, though? Essentially, a circle is nothing more than a group of people that you create. This group can be tied together by a common interest, or by a common profession. If you follow a lot of photographers, for example, you can group them all together within an appropriately named circle so that you can access specific updates more easily. The same thing applies to any shared interest or other common denominator. For business users, this offers a tremendous range of benefits. For instance, let’s suppose you run an ecommerce site that sells fashion accessories. You can create circles based on each person’s connection to you – existing customers, potential customers, those interested in fashion, designers, crafters/DIY creators and more. By creating a circle for different people, you gain the ability to interact more accurately and tailor your updates for specific groups, which helps maximize the impact of your message. How does this work? Let’s look at updates using circles. Like Facebook, Google Plus + gives you the means to send updates to the entire world, just your connections or specific groups (circles). All of these options provide benefits. You can send an update to the entire network for certain updates, but the real power here lies in the ability to target individual circles. For instance, if you have a circle devoted to existing customers, you automatically know that these are people already predisposed to buying what you have to offer. You can tailor your updates to them to fit that knowledge by offering specific deals or specials. The same thing applies to potential customers, those who haven’t yet made a purchase from you, but who have expressed interest in what you have to offer. For these people, you can offer special introductory deals, sales or specials designed to get them to purchase. Once they make a purchase, you can move them to your existing customer circle. Perhaps the most interesting thing about sending out circle-specific updates is that followers in one circle cannot see updates sent to another. That gives you the ability to send different deals and incentives to each circle, specific to that group’s status or needs. Since other followers cannot see those messages, you gain tremendous flexibility and the chance to tailor your social media marketing to fit different segments of your target audience. It’s difficult to imagine anything more beneficial for business owners or marketers. As you can imagine, building your circles correctly is very important, particularly if you want to leverage the methods mentioned above. Don’t be tempted to just lump your followers into a couple of circles. Take the time to create appropriate circles that contain users who impact your business and then sort them appropriately. A bit of effort now can pay off very handsomely in the end. Make sure you research each new follower and find out who they are, where they’re from and how they’re connected (or want to be connected) with your business. You should also create circles based on your social media marketing strategy to make creating and sending updates to specific circles simpler and easier. Occasionally, you’ll find that you need to tag another Google Plus+ user in your updates. Perhaps you’re running a joint promotion, or you’re just sharing the love by promoting someone else (something HIGHLY recommended). How do you tag people on Google Plus+? It’s very similar to the way Facebook and Twitter work – you just @ them (type in @ and then their username).You can @ as many people as you like in an update, and doing so automatically sends the update to them as well (you’ll see their username highlighted at the bottom of the post, near the circle sharing options). 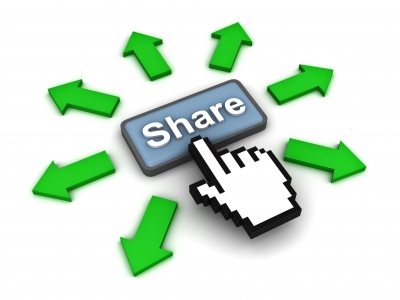 A few words need to be said about sharing the love on Google Plus+. Like every other social network, Google Plus is built on the premise of interaction and communication. Moreover, recent studies by numerous marketing analysts show that business owners who actively promote others and engage with the larger community on a regular basis are much more successful within the world of social media marketing. Simply put, promoting others helps you become a valued member of the larger community and proves that you’re not just in it for what you can get out of it. That’s an important thing to understand about social networks, whether you’re talking about Google Plus+, Facebook or Twitter. If you want to enjoy the support of your followers, you have to be supportive first. Often, that’s the hardest thing for business owners and marketers to really understand – it’s a two-way street and it starts with you, not them. G+ might not be a massive powerhouse, but it’s well worth your time. In fact, you might actually find that you have greater traction here than on Facebook just thanks to the lessened competition from other business users. Don’t be afraid to jump in and give it a go – build your circles, share targeted updates and spread the love to others on the network. During 2003, John Lessnau popularized Text Link Advertising when he founded the first open Text Link marketplace LinkAdage.com. John hopes to do the same thing 10 years later with social media links at his new website SocialLinkMart.com. Social Link Mart is an open Social Link Marketplace for SEOs, website owners, and social media enthusiasts to buy and sell social links such as Facebook Shares, Google Plus Shares, and Twitter Tweets.